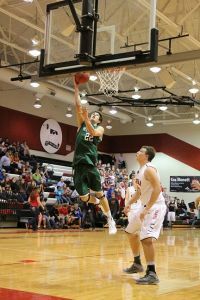 The Indians are used to this, having won six-straight conference and district championships. Mt. Vernon, on the other hand, just won its first district title since advancing to the Class 3 Final Four in 2012. In fact, either the Indians or the Mt’neers have represented Southwest Missouri in Columbia in three of the last four seasons. These two teams know each other well, even though they do not play each other during the regular season. The Indians did beat Mt. Vernon 71-63 in the Blue & Gold Tournament in December, though. Add to that all of the AAU teams and summer camps and both teams are intimately familiar with each other. Strafford’s lineup is loaded with speed, talent, speed, experience…and speed. The senior-laden Indians feature a balanced attack in which any of a half dozen players can lead the team in scoring on any given night. Senior Grant Boswell leads the team in scoring at 16.4 points per game, followed by fellow classmates Kyle Foley (14.5 ppg), Dallas Hester (14.5), Brady Collier (10), and Dalton Taylor, who averages seven points and six rebounds per contest. As for Mt. Vernon, senior Chandler Myers has played for the varsity since first stepping through the doors at the school, and made key contributions in helping lead the Mt’neers to the Final Four as a freshman. The versatile Myers is a match-up problem for most teams, as he has a nice touch on his jump shot, but is capable of driving to the basket, absorbing contact and getting an and-1. 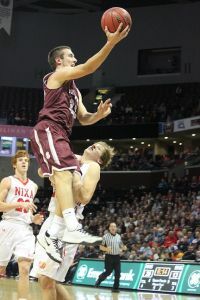 Senior guard Luke Call runs the Mt’neer attack out top and keeps defenses honest with his jump shot. 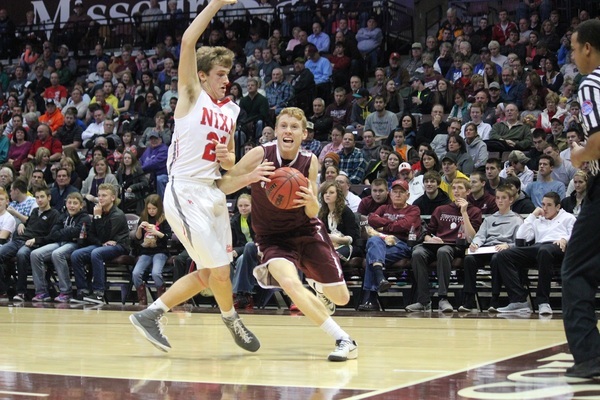 Down low, 6-foot-3 senior forward Braden Adams does the dirty work for Mt. Vernon. Both the Indians and the Mt’neers feature senior-heavy lineups, which means that one group of seniors will play their last game Wednesday night, while the other grouo will extend their careers at least one more game. That game, which will be played at 5:00 p.m. on Saturday at Drury University, will be for a berth in the Class 3 Final Four. The opponent will be the winner of the Sectional game being played between Licking and Blair Oaks.